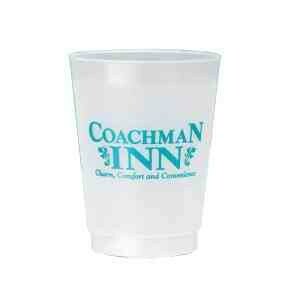 12 oz frosted flexible plastic cup - great promo item to promote your brand, event, or team! No charge for 2nd side imprint! Imprint Area 1 side : 3" x 2.5 "